螢幕顛倒了，怎麼辦?! 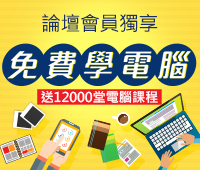 - 作業系統 / 應用軟體 - 巨匠電腦 - 學習論壇 - Powered by Discuz! 巨匠電腦 - 學習論壇 » 作業系統 / 應用軟體 » 螢幕顛倒了，怎麼辦?! Ctrl + Alt + 方向鍵的"上"
Ctrl + Alt + 方向鍵的"下"
Ctrl + Alt + 方向鍵的"右"
Ctrl + Alt + 方向鍵的"左"
GMT+8, 2019-4-19 12:21, Processed in 0.027589 second(s), 8 queries.